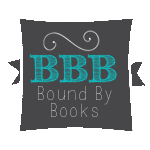 A CONTEMPORARY ROMANCE Duet, coming Jan. 8, 2018! 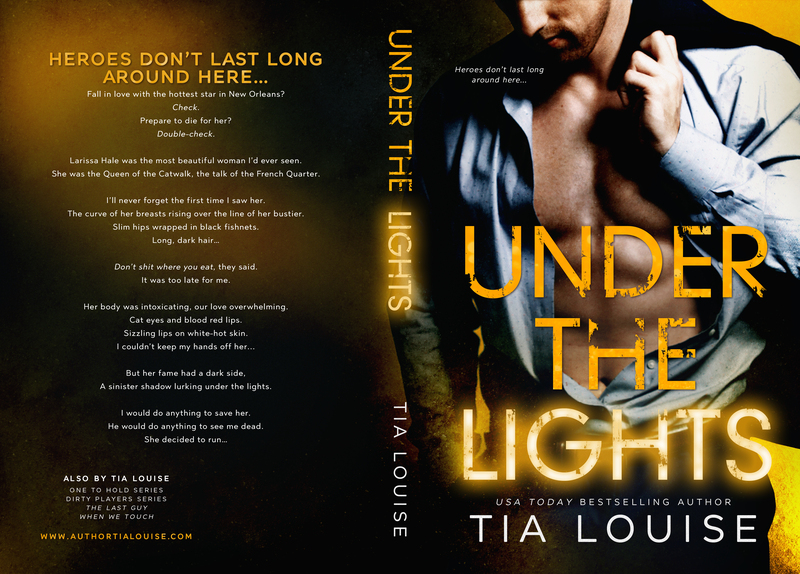 Under the Lights will be a LIVE release on Amazon! 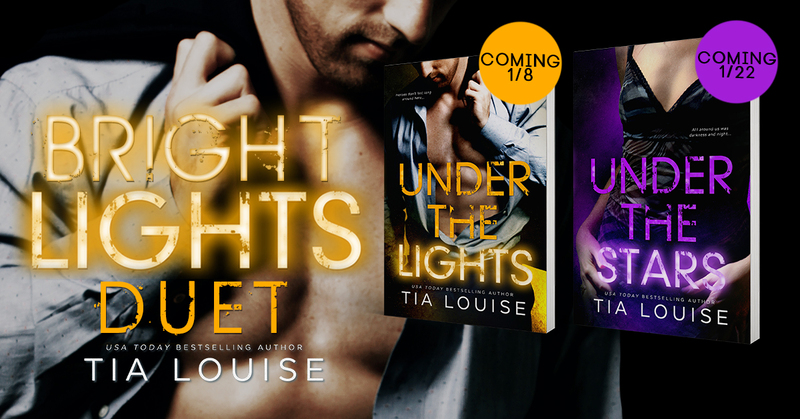 Tia Louise is the USA Today best-selling, award-winning author of When We Touch, the ‘One to Hold’ and ‘Dirty Players’ series, and co-author of the #4 Amazon bestseller The Last Guy. She loves all the books (as long as they have romance), all the chocolate (as long as it’s dark), strong coffee and sparkling wine. After being a teacher, a book editor, a journalist, and finally a magazine editor, she started writing love stories and never stopped. Louise lives in the Midwest with her trophy husband, two teenage geniuses, and one grumpy cat.